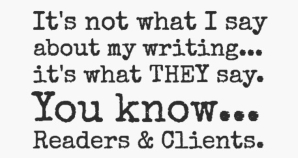 The best way to explain what creative-nonfiction is… is with an example. Here is how I took a simple moment and memory–recalling the summer thunderstorms of my youth–and made it come alive. And after it, some of the reader feedback. I remember watching clouds of dust, in the distance, coming off powder-dry dirt roads on hot summer days. The passing of mostly trucks in that back-then rural part of Texas. Sometimes I’d be on those roads; riding in the back of a truck, unrestrained. The maker of the plumes that would dust us as my father slowed or stopped. Gray, the color of aged bone, billows of dirt pulled along by the draft settled forward like pulling a blanket up and over my head. The coolness of the ride-created breeze stopped, too, replaced with stifling dirt grit-in-your teeth heat. At night, the ride was much sweeter, soothing on the planes of your upturned, sunburned, face, especially if a brief shower had dampened the road. I’d sit on the fender well, look up and pretend to race the moon. To where I don’t know, but the moon always won. I didn’t mind. The thought I’d someday win was enough to make me smile at it up in the sky. I remember summer afternoons somewhere off playing and then running far and fast to get home before the sun went down. Just in time to wash up for dinner; then to get chores done before my shows. Crushed if I missed the beginning of Lost in Space or The Time Tunnel this was long ago when life and the things you enjoyed were in real-time. No recording to watch or replay later. You had to be there. If one of my shows weren’t on, after dinner and chores, I’d slip out to the backyard. I loved the night sounds; the music of crickets, the hum, and buzz of birds, animals, and insects that stir at twilight. I’d sit on the steps and drink it all in; enjoying the evening wind as it arranged clouds for the night. My child-mind empty of worries and thoughts only of the next chapter in A Princess of Mars, I’d read before bedtime. I’d bought an old, used copy of the book for five cents at Mr. Petersen’s general store. [He had a barrel of them next to the counter. As my mother did her shopping, I’d sift through them.] The joy of discovering that story and the other adventures of John Carter is still fresh in my mind. If the metal had cooled enough, I’d move to sit astride the long natural gas tank, shaped (so I thought) like a miniature submarine or spaceship, and look over my world. Sometimes, with the breeze right, I could catch the smell of Henrietta’s tortillas and tamales from her house, the closest nearby. Oh, how the aroma filled the air. She made them by hand, ground her own meal fresh every day, and they were delicious. An always-hungry boy, my mouth watered though I’d just eaten my fill. In the summer, evening storms would roll in. Often just heat lightning, but sometimes the darkening sky’s rumor would turn true with flash and crash just seconds ahead of the rain. My mother said the rumble of thunder was, “The Devil moving his furniture.” I never thought to question shouldn’t that sound come from below and not above. On those evenings, the backyard would become thick with fireflies; a dozen and more points of light. I’d sit on the steps and watch the little gold sparks wink in and out of the shorter grass close to the house as they moved toward the tall grass further back. As I watched, I don’t recall wishes or dreams of other things. There was no looking at the sky with longing—no hurt to deal with—decisions or questions to ponder. 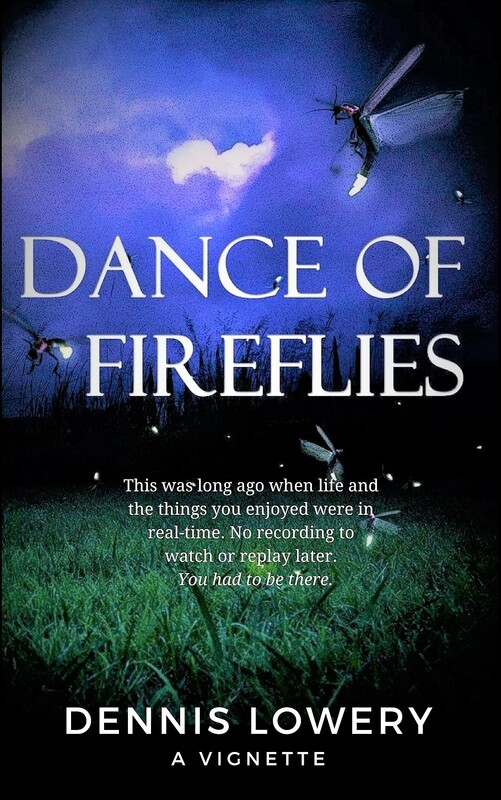 Only the simple moment and pleasure of watching the dance of fireflies. After a while from the screen door, under the single bulb above and in its small pool of light, my mother would step out, and I’d hear her call. “Time to come in…” And most times, I wanted to… like the evening that stands out in bringing forth this memory. The night before Sola had saved Dejah Thoris and John Carter had fallen. But before I went in, I gave the fireflies a last lingering look—they still danced—and wondered for how long and how far it went on. I didn’t dwell on that though. Once inside I hurried through the bath time routine. I had to find out what happened next on Barsoom! “Wonderful writing! Brings back childhood memories! I can see the things dreams are made of! You have lots of fun ahead of you! Lots more to put to pen! Quite a talent and a blessing for us to read! Thank you for sharing!” –Martha J.